Apple promises that ARKit 2.0 will be a platform to create the most innovative AR apps for one of the world’s largest AR platforms. 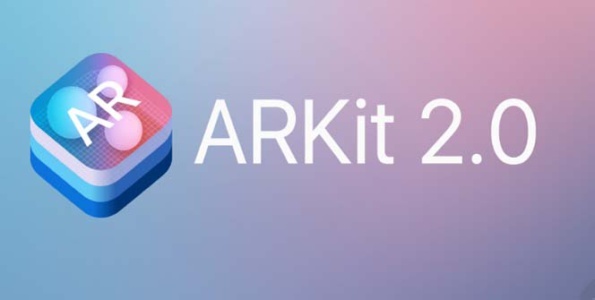 The ARKit 2 and iOS 12 were both introduced last week at Apple’s 2018 WWDC event. The new open file format called USDZ is designed to be a more deeply integrated AR throughout iOS making iOS objects available across the ecosystem of Apple apps. USDZ is unified with Pixar’s Universal Scene Description which should make it easier to experience AR anywhere in iOS. Users will have the ability to share in apps such as Messages, Safari, Mail, Files, and News, while still having great graphics and animation features. Developers are allowed integrated first hand shared experiences, which are tied to specific locations with object detection and image tracking making AR apps even more dynamic. Developers will also have the ability to add a spectator mode, which will allow viewers the best view of AR gameplay from another iOS device. Apple also introduced a new app in iOS 12 called Measure, this new app will allow the user to take the dimension of objects, measuring lines across surfaces, and able to detect rectangles. QuickLook for AR will also allow users to place 3D objects into the real world to see how something would work in a space.